Nearly 1,500 light years away is a strange and mysterious star. It’s behavior seems to defy explanation, leading some to conclude its appearance could be due to an advanced alien civilization. Is the alien conclusion just clickbait hype, or is it a legitimate answer? As scientists we really don’t like jumping on the alien bandwagon. Regular radio pulses in space! Aliens? No, just rapidly rotating neutron stars. Strong unexplained radio bursts! Aliens? No, just a microwave oven. The Wow! signal, radioactivity on Mars, it could be aliens, right? Probably not. That’s not to say that aliens could never be the answer to strange astronomical behavior, it’s just that it’s bad form to use aliens as a filler for “I don’t know.” That said, KIC 8462852, commonly called Tabby’s star after its discoverer Tabetha Boyejian, continues to defy clear explanation, so the aliens conclusion keeps lurking in the background. Whenever we have a mystery like this, the best approach is to be cautious and follow where the evidence leads. Even if the evidence doesn’t support a clear solution, it can at least rule out some of the options. So what does the evidence say? One point of evidence is what originally drew our attention to Tabby’s star in the first place. KIC 8462852 is an F-type star, about 45% more massive than our Sun. It is one of the stars the Kepler spacecraft has studied, looking for exoplanets by watching the star dim as a planet transits the star. A transiting planet typically only dims the star by a few percent at most, and that’s typically for planets orbiting small red dwarfs. For larger stars like our Sun and Tabby’s star, the dip in brightness should be even less. If a distant civilization were to see Jupiter pass in front of our Sun, the Sun’s brightness would only decrease by about 1%. It turns out that while Jupiter is not the most massive a planet can be, it is about as large as a planet can be. With more mass comes more gravity, so planets more massive than Jupiter are about the same size, just more dense. Since Tabby’s star is a bit larger than our Sun, we would expect a transiting planet to cause a dimming of no more than about 1%. Kepler observed brightness dips that look like planetary transits, but were often much more than a few percent. An orbiting planet couldn’t create such large dips. Kepler data for Tabby’s star. It is possible for such large dips in brightness to be caused by an interstellar body to pass between us and the star. If a rogue planet passed much closer to us than the star, then it could cause a significant dimming while still being planet-sized. But we’ve observed is multiple large dips. One rogue planet transiting the star would be rare enough, but the odds of several in succession is basically zero. So that likely doesn’t explain things either. What’s more perplexing is that there are also dimming events that don’t agree with transits at all. Rather than a sharp dip, the star shows some longer term variations in brightness, as if it is being obscured by some type of dust cloud or protoplanetary disk. The problem with that idea is that KIC 8462852 is well into the main sequence stage, so a protoplanetary disk is unlikely. Infrared observations of the star also find no evidence of a protoplanetary disk. So not a planet, not an odd interstellar transit, and not a protoplanetary dust cloud. What else could it be? The leading contender has been a large swarm of comets. The data could be explained by clusters of large comets with a total mass roughly equal to that of Ceres. So if an object similar to Ceres was tidally ripped apart by some close planetary encounter, and fragmented into lots of large comets, it might, just might, be able to explain the data. If you think that isn’t a very likely answer you’d be right. It’s really the least unlikely of a range of wild ideas such as a complex ring system, a catastrophic collision of planets, or even that the star is strangely variable. The brightness of Tabby’s star found in the Harvard data. Clearly what’s needed is more data. So off scientists went to get some. A SETI radio search of the star turned up nothing, infrared searches didn’t find anything strange, but an examination of historical records did. It turns out that photographs of KIC 8462852 have been captured since 1890. The Harvard College Observatory has photographic plates spanning more than a century, and these have been digitized and put online. Tabby’s star happens to be in this data, and when the brightness of the star is plotted over the years it shows a gradual dimming over time. This is really strange because main sequence stars should not show this kind of dimming effect. It’s also a very controversial result. While the data is clear, it isn’t clear whether it shows an actual dimming of the star, or if it’s an artifact of the way photographs were taken over the years. The brightness of some other stars in the historical data also show some dimming effect, so it could easily be due to poor calibration of the photographic plates. 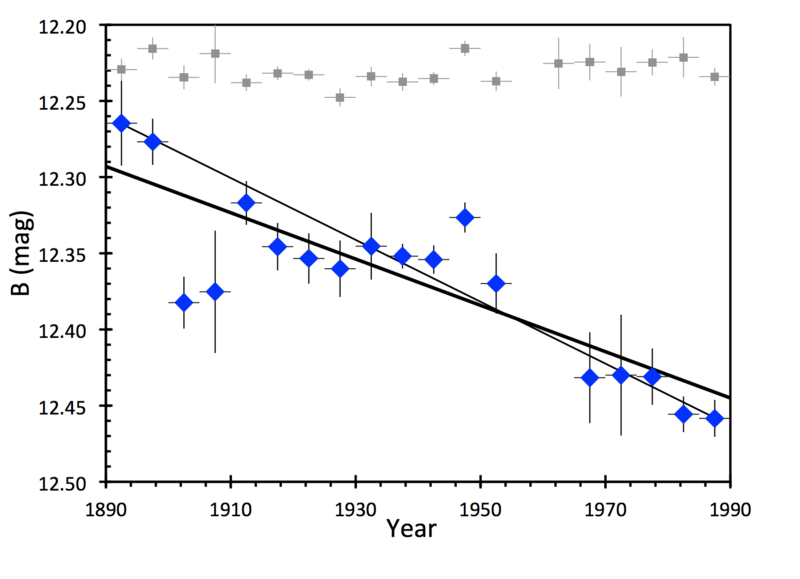 However, an analysis of the average Kepler data also shows a slight overall dimming consistent with the dimming trend. So why not admit it could be aliens? 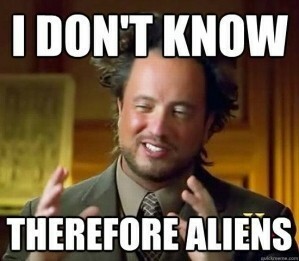 In all honesty it could be aliens, but even that seems to be contradicted by evidence. 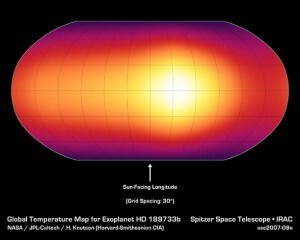 If the dimming were caused by some kind of alien superstructure, then the blocked light being captured would emit some of that energy as heat. Based on the data, the alien superstructure would be absorbing about 20% of the star’s light, and that would generate a great deal of waste heat. So there should be an excess of infrared light coming from the star, but observations have found no significant infrared excess. That doesn’t mean aliens are ruled out, but they aren’t any more compelling than some strange natural phenomena. In short, it’s a mystery, and that’s definitely worth studying further. Is there enough information to rule out extreme sunspots as the source of the dips in visible brightness? The truly impressive thing is our technology can measure variations in light from a star almost 1,500 light years away. That causes as much awe in me as anything that might be happening at Tabby’s Star. Have artifacts been 99.999% ruled out? Are there signals like this – using “like” in a very general way – in the Kepler light curves for other stars? There very possibly are similar light curves, but none that we’ve found (at least to my knowledge). I’m pretty sure there are at least some citizen scientists, in Planet Hunters for example (https://www.planethunters.org/? ), who are diligently looking for just such signals. 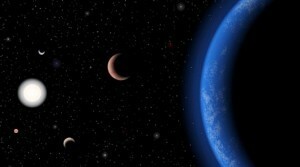 Interestingly, there seems to be a campaign to raise $$ for dedicated follow-up research on Tabby’s Star (see: https://talk.planethunters.org/#/boards/BPH0000007/discussions/DPH0001fky); go research! Is the dimming consistent across the EM spectrum, is it just within certain frequency ranges, or do we have enough information to determine that. Also, have there been any spectrographic analyses done that would tell us if the absorption lines have changed over time? I wonder if there is possibly a dust cloud or molecular cloud of some sort slowly passing between us and the star, and differing densities within it are causing the rapid variabilities while an overall average increase in density is causing the long-term dimming. Of course, if we have done radio and infrared observations of the star as well as just visible light, I suppose that any sort of cloud capable of doing this would have been discovered by now.